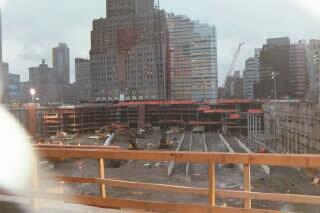 The area now known and referred to as Ground zero or the former WTC site. 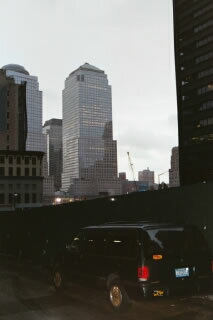 This is where the Twin Towers (1 and 2 World Trade Centers), 4 World Trade Center, 5 World Trade Center, 6 World Trade Center, 7 World Trade Center and the Marriot Hotel once stood. 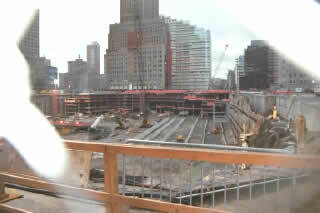 Now it looks like a empty construction zone. 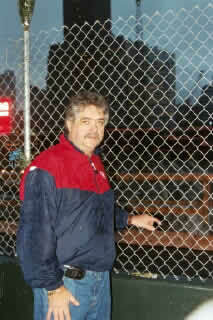 Once people worked and ate lunch and just visited - now people come to pay their respects. 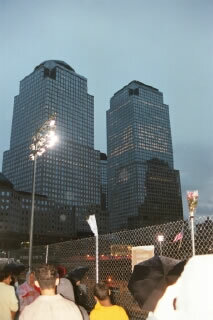 As of September 1, 2002 - the New York maps showing the location of Twin Towers were still up around Lower Manhattan. 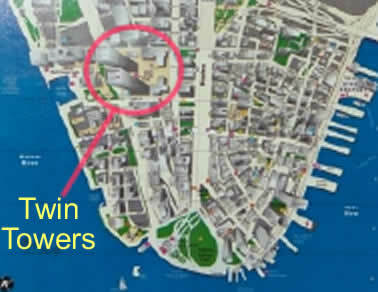 I've circled the location of the Twin Towers, what is now known as Ground Zero. 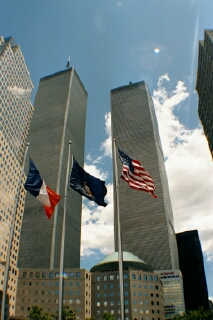 The South Tower is the bottom one. 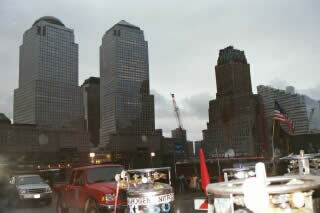 Most of the pictures on this page are taken from where the South Tower once stood. 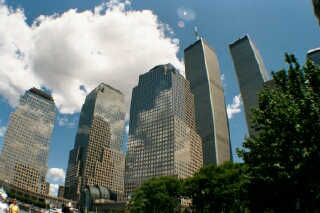 The section left and below the location of the Twin Towers is Battery Park City. 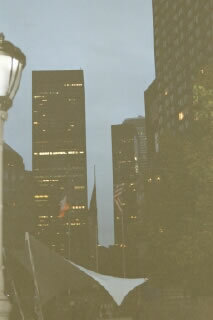 Directly left of the Twin Towers are the World Finacial Center buildings and the Winter Garden. The Winter Garden just reopened on September 5th. 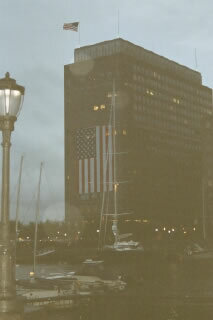 Far left, across the Hudson River, is Jersey City, New Jersey - where many of my other pictures had been taken. The southern most tip the island is Battery Park - this is where "The Sphere" is now on display. 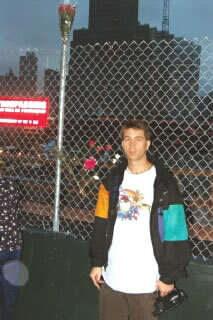 It's located at the northern end of the park. 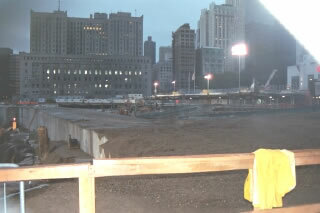 Looking through the fence where the Twin Towers once stood. 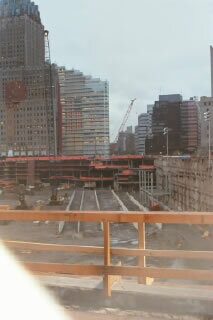 I hope buildings at least as large and as grand will rise above those spots again. 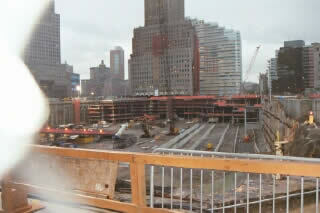 I know many victims' families are against building on this spot - but I feel that rebuilding, and setting up memorials in and around the new buildings, would be a much better remembrance to those killed than anything else. 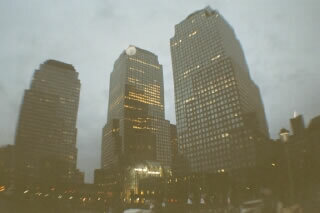 The picture to the right is of 3 World Financial Center (back), The Winter Garden (middle) and 2 World Financial Center (front).The North Tower would have risen behind 2 World Finacial Center from the angel this picture was taken. Although not the same angle - these two pictures were taken at the same location. 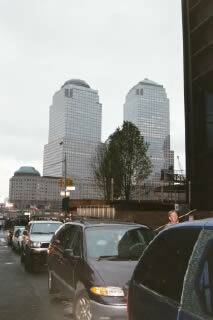 The building in the picture to the left (One Liberty Plaza), is mostly hidden behind the South Tower in the picture to the right. 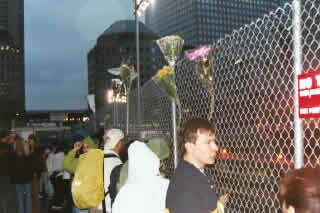 In loving memory of all those who perished on 9/11/01 as a result of the attack on the United States and in commemoration of the fire, police, rescue personnel, and other persons who died helping others. Let us now rebuild on the founding principals of our homeland. 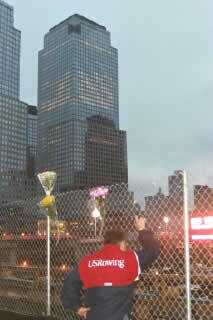 "One nation, under God, indivisible, with liberty and justice for all"
This is at the memorial for the rescuers. 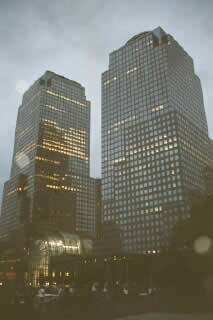 You can find it just west of the World Financial Buildings. 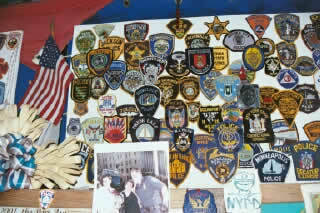 Fire Departments, Police Departments and other rescue services from around the country and the world put their badges, letters, etc on this memorial. 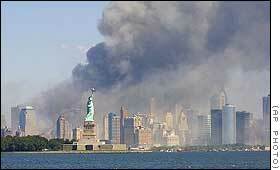 This picture just gives you a small idea of this memorial.